The fast growing recruitment platform was also awarded Tech Startup of the Year and Best New Product in HR Software for 2016. Stevie winners will be presented with their awards on June 20 in New York. 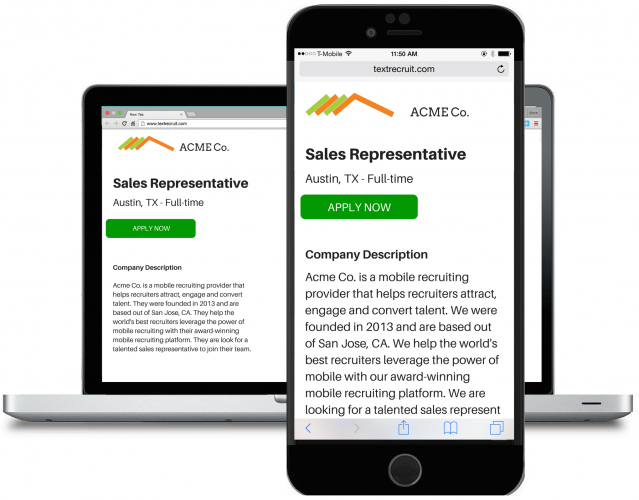 The accolades highlight TextRecruit’s dedication to helping employers engage jobseekers and employees more effectively on their mobile devices. TextRecruit LLC, a leader in mobile recruiting software, was awarded three Gold Stevies including Best B2B Startup, Best Tech Startup and Best New Product - HR Software in The 14th Annual American Business Awards on Monday. The accolades highlight TextRecruit’s dedication to helping employers engage job seekers and employees more effectively on their mobile devices, and the company’s fast growth as the centralized texting communication platform for SMB’s and Fortune 500 companies alike. The American Business Awards are the nation’s premier business awards program. More than 3,400 nominations were reviewed in the judging process this year by more than 250 professionals. All organizations operating in the U.S.A. are eligible to submit nominations – public and private, for-profit and non-profit, large and small. “TextRecruit fits in well with the mobile culture of young millennial job seekers” and it’s team should be commended for their “energy and commitment to product innovation,” wrote the judges in their comments. "The judges were extremely impressed with the quality of entries we received this year. The competition was intense and every organization that has won should be proud," said Michael Gallagher, president and founder of the Stevie Awards. 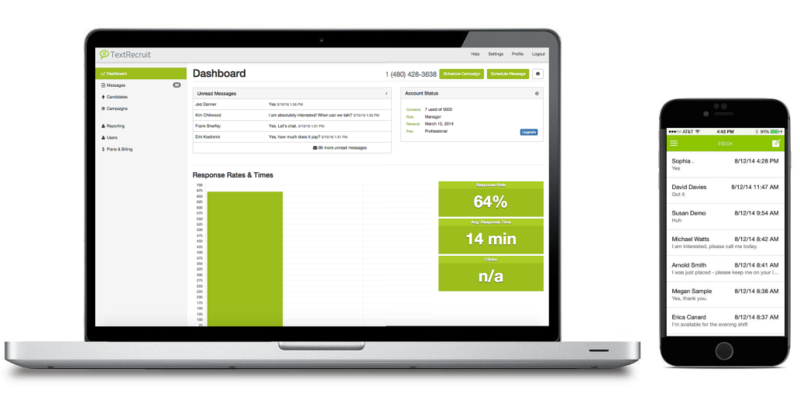 TextRecruit is an essential communication platform for the enterprise. Its web-based platform helps recruiters or HR professionals leverage text messaging to personalize and automate talent engagement. Last week it launched a Chrome Extension that allows recruiters and sourcers to text message talent from their browser while on any website including LinkedIn and job boards like Careerbuilder or Indeed. Nicknamed the Stevies for the Greek word meaning "crowned," the awards will be presented to winners at a gala ceremony at the Marriott Marquis Hotel in New York on Monday, June 20. Details about The American Business Awards and the list of 2016 Stevie winners are available at http://www.StevieAwards.com/ABA. 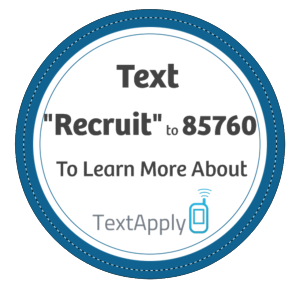 TextRecruit is a mobile recruiting platform that helps recruiters attract or engage existing candidates and employees via text message while optimizing the application process on mobile devices. This cloud-based, enterprise software is accessible via web, desktop, IOS/Android mobile applications or Chrome Plugin and helps teams centralize text communication while staying compliant. TextRecruit can easily integrate with existing Applicant Tracking Systems or can be used independently by recruiters. Learn more about TextRecruit at http://www.TextRecruit.com. TextRecruit's Cloud-Based Software and Mobile App TextApply uses keywords (i.e. Recruit) and short codes (i.e. 85760) to attract talent. Mobile Optimized Career Sites allow job seekers to apply for job openings from their mobile devices.